Bekki: Hello Obi and Titi. I am Bekki the Fairy. I am delighted to meet you both. Titi: Wow, so fairies really do exist?! That is so cool! Obi: Can you fly? I want to see, I want to see! I have a monkey called Mumu and he can talk but he can’t fly, oh! Anyone here who can’t fly? Titi: Obi, Mumu is no longer your monkey. Remember, he ran off and the talking thing is meant to be a secret. 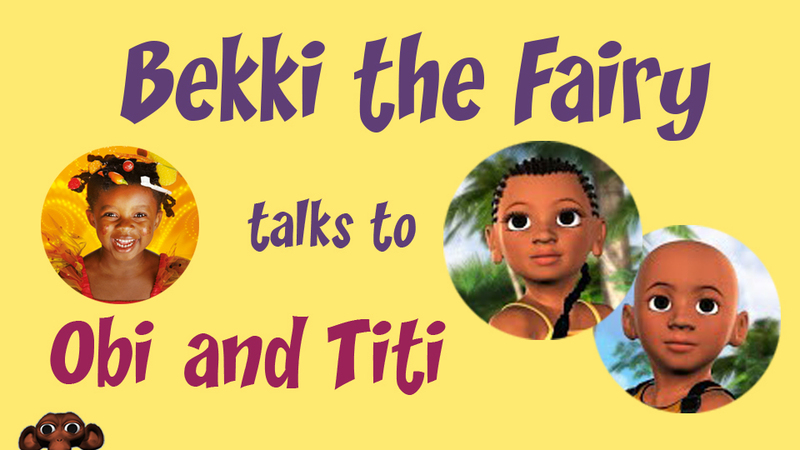 Titi: It’s really nice to meet you too Bekki. Please carry on, don’t mind him. Bekki: Is it true your story happens in Africa in the olden historical days? 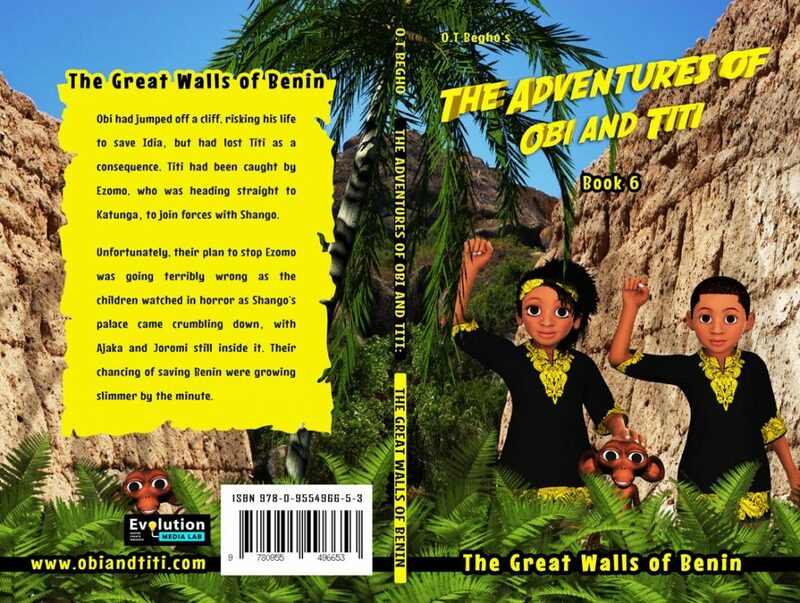 Titi: Yes, it’s based in the 15th century in a place called the Benin Kingdom. Obi: Yes, it was a great empire which is located where present-day Nigeria is. Bekki: This is a question for Titi. Are you really a princess? Obi: Oh, oh! Now you’re in trouble, fairy girl. She doesn’t like being called a princess, do you Royal Princess Titilayo? Hahaha. Titi: It’s okay. Yes, I am but I’m no different from anybody else. Obi reminds me of that every day. Obi: Yes, I do, oh. In fact, it is my royal duty hehehe…..
Obi: Nope. 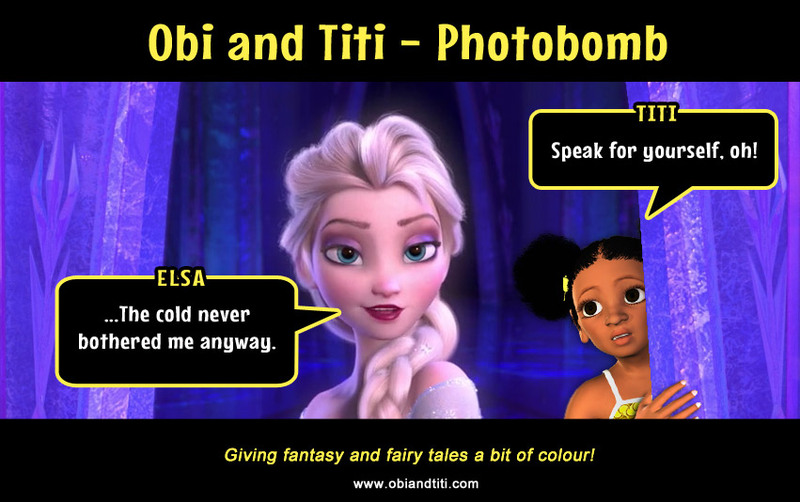 I’m pure Obi and she is pure Titi! Titi: Don’t mind him, he doesn’t know what he is talking about. Our creator wanted to mix things up a little so he gave me a Yoruba name and Obi is Igbo. Research shows that the Benin Kingdom, at the time, was very mixed as there were so many different groups of people living there from all over. Bekki: If I did a magic spell to go to Nigeria would I be able to see the hidden Temple of Ogisu? Obi: Of course not, its hidden and it’s really, really hard to find, but if you grant me a couple of wishes I might show it to you. Titi: Obi you are so rude! Don’t give him anything. You probably shouldn’t have granted him this interview. He is going to spoil it! 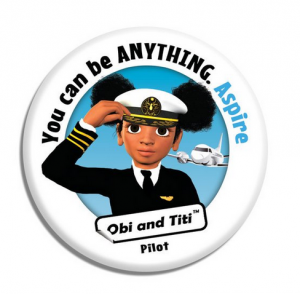 Adventure happens whether or not Obi and Titi want it. Obi: Oh, I know this one. Can I answer? Can I? 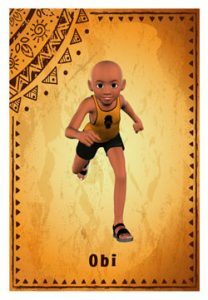 Titi: It was Mr O T Begho and he wrote about us and our adventure for two main reasons. One was the lack of black characters in books, educational material, cartoons and games. The second was to give a more factual and positive representation of African history and culture. Obi: I was gonna say that! Bekki: Did you like having a pet monkey, Obi? Obi: No! He is an olè! Titi: Sorry, that means thief and he isn’t. He is just misunderstood. Obi: Really? What about when he stole my birthday presents or the time we caught him with a bag full of gold in the temple. Titi: Err…. maybe we should move to the next question. Bekki: I do skipping and I like rhyming songs. Have you got any good ones to share with me, please? Bekki: If you were a toys would you be an action hero, a cuddly plush toy or a paper doll with loads of outfits? Titi: We would be action heroes. We really love a good adventure and somehow we’ve become quite good at getting ourselves out of trouble. Bekki: Will you be in more books? Obi: Mr Begho has nearly finished book 6 and I think that’s the end of the series. I have big prospects though. I’m going to be in a computer game or even a movie. Book 6 is nearly ready! Titi: I want him to continue writing. I have an idea I want to pitch to him but Obi thinks it’s silly. Why just write about the Benin Kingdom? You see, we have this travellers pendant and it’s magical and can take us anywhere, as long as we can find Okuta dust to power it. So, we could travel to other African Kingdoms and continue our adventure there. Bekki: No, it’s not. Imagine all the princess dresses you would see! It has been cool talking to you, Obi and Titi. Can we be friends? Titi: Yes, of course. I love fairies. Bekki: Shhhh, Obi! I want to tell people about your cool website. 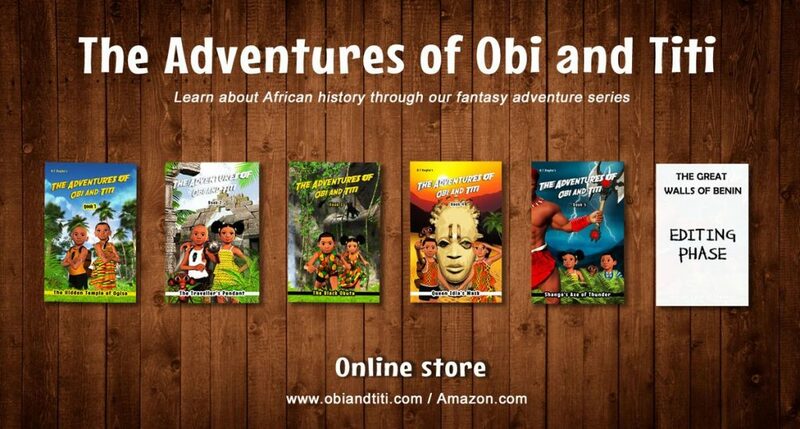 Ahem, even though Obi and Titi are in historical books they use the most modern technology. They have games, videos, Mr Begho doing a rap and all sorts of books and things on their website, I like the photobombs! Come on Titi, let’s have a dance and sing Let it Go.